Who doesn’t love getting a deal on movie tickets? Get Regal Cinema ePremiere tickets for only $9.50. That’s a big discount off the price of regular tickets. Use ePremiere tickets at the theater box office on any date for admission to any movie. Get cheap movie tickets here. What: In observance of International Observe the Moon Night, the Scobee Education Center will have members from the San Antonio Astronomical Association bring out their telescopes for people to observe the Moon. Also, students from SAC will operate telescopes on the roof. After our 9:00 show, we will also open up the observatory! Weather permitting. When: October 19, 7:00 p.m. – 11:00 p.m. When:October 19, 11:00 a.m. – 12:00 p.m.
What: Free concert Fridays! Join us every Friday in June through October to hear the best local sounds of San Antonio. Enjoy a night of family fun with food & drinks, bounce house, and more. What: Kids’ Day in the Park is an event to celebrate Seguin’s youngest citizens. the 10th Annual Kids’ Day in the Park is a free fun-filled, one-day event. It includes inflatable rides, entertainment, arts & crafts, face painting and over 40 information & activity booths, food concessions and much more. When: October 20, 10:00 a.m. – 2:00 p.m.
and more. Join us and dress in your favorite Dia de Los Muertos costume and join our parade. Bring your kids to learn about this great tradition. We will provide materials to make their very own Dia de los Muertos mask and they can participate in the parade. When: October 20, 12:00 p.m.
What: Dress up as your favorite Disney character and enjoy the most magically spooky party around, full of tricks, treats – and even a few surprises. Every Saturday in October at 1 pm, 2 pm, and 3 pm, join us in store for a frightfully fun Haunted Halloween Party and receive a free Mickey Mouse pumpkin light up a wristband. RSVP required to participate. Contact your local store. When:October 20, 1:00 p.m. – 4:00 p.m.
What: The Animal Defense League will be hosting our 4th Annual ADL 5K and Kid’s 1K Trick-or-Trot. This time, the race will be held at the McAllister Park Trailhead. Although we have changed the location of the run, all else will stay the same. Make sure to wear your costume and be ready for lots of furry fun. The Kid’s Trick-or-Trot 1k is a fun-filled way for children ages 12 and under to get active and trick-or-treat at the same time! Candy stations will be placed along the course until your little one has finished with a bag full of treats. Every runner age 13 or older will receive a runner’s packet with race tag, timing chip, water bottle, and t-shirt*. When: October 20, 8:00 a.m.
What: Bring a chair and watch the parade go by! Or…join in the abilityMARCH and be an active participant in this Tricentennial Celebration of diverse abilities in San Antonio.The abilitySTRONG Parade…a Disability Pride Celebration will tell the story of inclusion, strength, and brings in the aspect of the Tricentennial Celebration as we highlight the history and advancements for the disability community. When: October 20, 9:00 a.m. – 10:00 a.m.
What: Barktoberfest is a free, annual event hosted by Perrin-410 Animal Hospital at the Animal Defense League of Texas. The event raises funds for both ADL and a pet charity that provides financial assistance when owners are unable to. Barktoberfest also gives back to the community with a fun, pet and family friendly event. There will be activities for you to enjoy with your pet, delicious food trucks and product vendors of all kinds! The Costume Contest and Dachshund Dash will also be returning this year, so be sure to register. When: October 21, 12:00 p.m. – 4:00 p.m.
What: “Great Pumpkin Event” at Bass Pro October 21, and Oct 26–31! Get a free 4×6 photo with the Peanuts gang, optional $5 photo package, the first 50 kids on Halloween night get a free frame. When: October 21, 12:00 p.m. – 5:00 p.m.
What: Put on your best Halloween costume and get ready to do the Monster Mash as Traders Village presents it’s eighth annual Boo Bash, the biggest free spooktacular for kids in San Antonio. Traders Village will be loaded with more Halloween entertainment and fun than ever before. Boo Bash 2018 will present live musical entertainment, activities, a Bootastic Parade and monster-sized Trick-or-Treating by our generous vendors who will place a pumpkin in front of their location to let you know to stop for candy. Check out our Haunted House with animated and live features that will spook visitors into coming back for more. When: October 21, 12:30 p.m. – 4:30 p.m.
Any other things to do in San Antonio this weekend that you’re excited about? Let us know by commenting below. 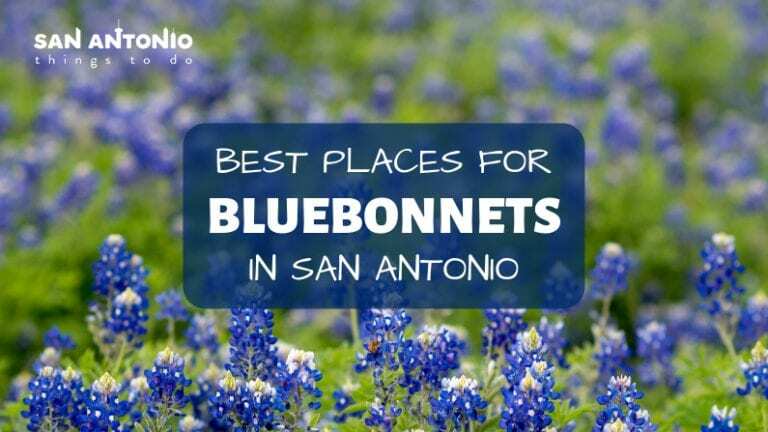 And don’t forget to bookmark our things to do in San Antonio weekend page for weekly updates!